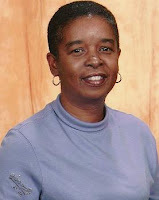 Ms Beverly Jenkins is known for historical romance novels which highlight 19th century African/American life. 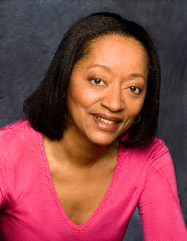 She has received numerous awards for her works, including: six Waldenbooks/Borders Group Best Sellers Awards; two Career Achievement Awards from Romantic Times Magazine; a Golden Pen Award from the Black Writer's Guild, and in 1999 was named one of the Top Fifty Favorite African-American writers of the 20th Century by AABLC, the nation's largest on-line African-American book club. She has also been featured in many national publications, including the Wall Street Journal, People Magazine, Dallas Morning News and Vibe Magazine. She has lectured at such prestigious universities as Oberlin University, the University of Illinois, and the University of Michigan. She speaks widely on both romance and 19th century African-American history. In 2004 Ms. Jenkins branched out into romantic suspense with the publication of Edge of Midnight. Her latest historical, Jewel is a May 08 release. Dr. Deborah Smith Pollard, who enjoys a dual career as a university professor and gospel radio host, recently added the title “author” to her list of accomplishments.Her book, When the Church Becomes Your Party: Contemporary Gospel Music, published in April of 2008 by Wayne State University Press, focuses on such topics as praise and worship music, the changing dress code in the Black Church, and Christian rap. Other work by her has been published in both academic and popular outlets, including Womanist Theory and Research, College Language Association Journal, College English Association Journal, The Arkansas Review, Gospel Today, and The Detroit Free Press. An Associate Professor of English Literature and Humanities at the University of Michigan-Dearborn since 1995, Pollard served as director of the African and African American Studies program on that campus from 2002-2006 She earned her Ph.D. from Michigan State University in the American Studies Program where her focus was African American literature and culture. Dr. Pollard has lectured on gospel music throughout the United States, including Hawaii, and in such countries as Japan and South Africa. She was the recipient of the “Outstanding Research Award” from University of Michigan-Dearborn Women’s and Gender Studies Program. Her work in gospel music has included producing an Emmy-award winning television show, “GodSounds,” on Detroit’s NBC affiliate, WDIV Channel 4 as well as producing the McDonald’s GospelFest and the Motor City Praisefest for twenty-two years. She is host and producer of Strong Inspirations heard on FM 98 WJLB every Sunday from 6 until 10 AM. In 2005, she was named Gospel Announcer of the Year during the national Stellar Awards. She has been married to Basil Pollard since 1997 and is a member of the Hartford Memorial Church where Dr. Charles G. Adams is the pastor. Jean Alicia Elster, B.A., J.D., is the author of the middle grade novel, Who’s Jim Hines?, published by Wayne State University Press and released in August 2008. She is also the author of the children’s book series, “Joe Joe in the City,” published by Judson Press. The first volume in that series, Just Call Me Joe Joe, was released in October 2001 and is now in its second printing. The remaining volumes are: I Have A Dream, Too! (May, 2002), I’ll Fly My Own Plane (September, 2002), and I’ll Do the Right Thing (January, 2003). She was awarded the 2002 Governors’ Emerging Artist Award by ArtServe Michigan in recognition of the series. I’ll Do the Right Thing was awarded the 2004 Atlanta Daily World Atlanta Choice Award in the category of children’s books.